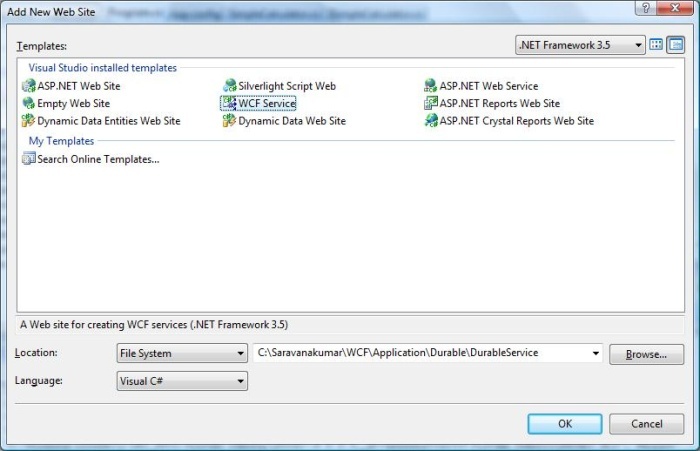 When WCF service is configured for Per-Call instance mode, Service instance will be created for each client request. This Service instance will be disposed after response is sent back to client. 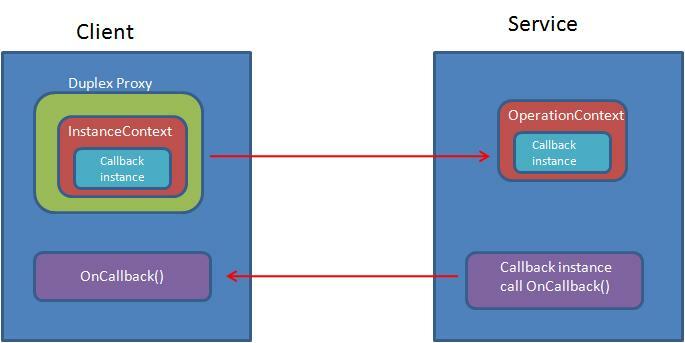 Following diagram represent the process of handling the request from client using Per-Call instance mode. Let as understand the per-call instance mode using example. 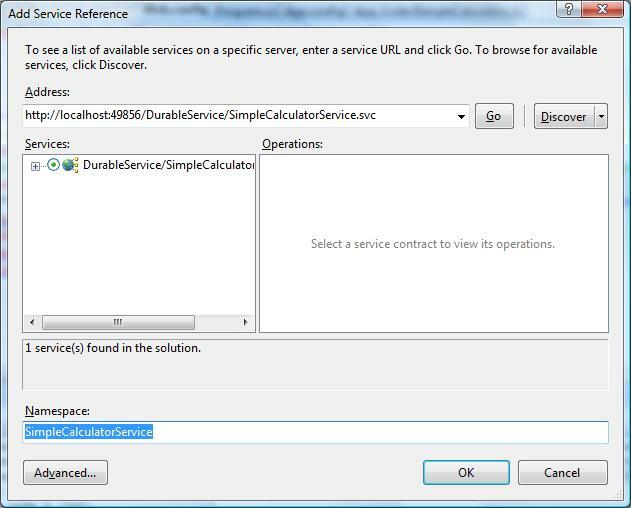 Step 1: Create the service contract called IMyService and implement the interface. Add service behavior attribute to the service class and set the InstanceContextMode property to PerCall as show below. Step 2: In this implementation of MyMethod operation, increment the static variable(m_Counter). Each time while making call to the service, m_Counter variable is incremented and return the value to the client. Surprisingly, all requests to service return '1', because we configured the Instance mode to Per-Call. Service instance will created for each request and value of static variable will be set to one. While return back, service instance will be disposed. Output is shown below. In Instance Management System tutorial, you learn how to create sessionful service instance. Basically service instance is hosted in a context. Session actually correlated the client message not to the instance, but to the context that host it. When session starts, context is created and when it closes, context is terminated. WCF provides the option of separating the two lifetimes and deactivating the instance separately from its context. ReleaseInstanceMode property of the OberationalBehavior attribute used to control the instance in relation to the method call. Below code show, how to add the 'ReleaseInstanceMode' property to the operational behavior. This property means that it will not affect the instance lifetime. By default ReleaseInstanceMode property is set to 'None'. This property means that it will create new instance before a call is made to the operation. This property means that it will deactivate the instance after call is made to the method. You can also explicitly deactivate instance using InstanceContext object as shown below. WCF throttling provides some properties that you can use to limit how many instances or sessions are created at the application level. 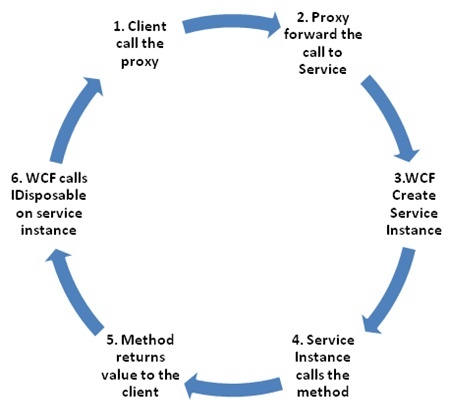 Performance of the WCF service can be improved by creating proper instance. maxConcurrentInstances The number of InstanceContext objects that execute at one time across a ServiceHost. The default is Int32.MaxValue. Using <serviceThrottling> tag of the Service Behavior, you can configure the maxConcurrentCalls, maxConcurrentInstances , maxConcurrentSessions property as shown below. Use ServiceThrottlingBehavior object to set concurrent calls, session and instance property. In classic object or component- oriented programming model offered only single way for client to call a method. Client will issue a call, block while the call was in progress, and continue executing once the method returned. 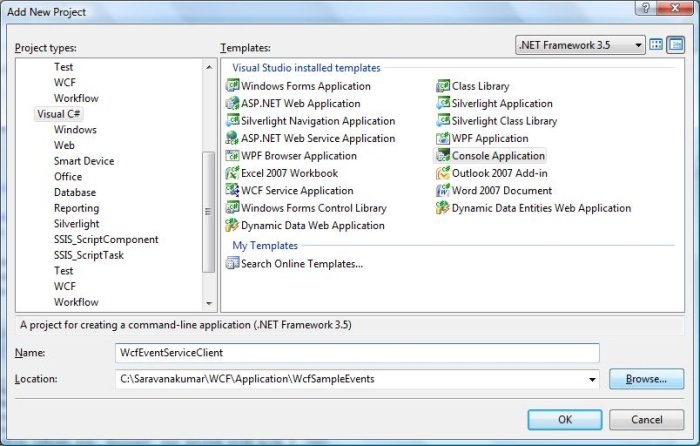 This tutorial gives hands-on to create a sample Callback service. 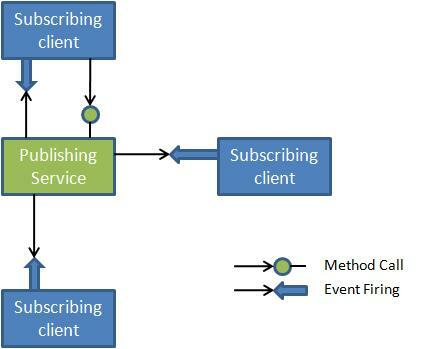 Step 3: Create the Callback and Service contract as shown below. You need to mention CallbackContract property in the ServiceContract attribute. Implementation of the Callback contract will be done on the client side. 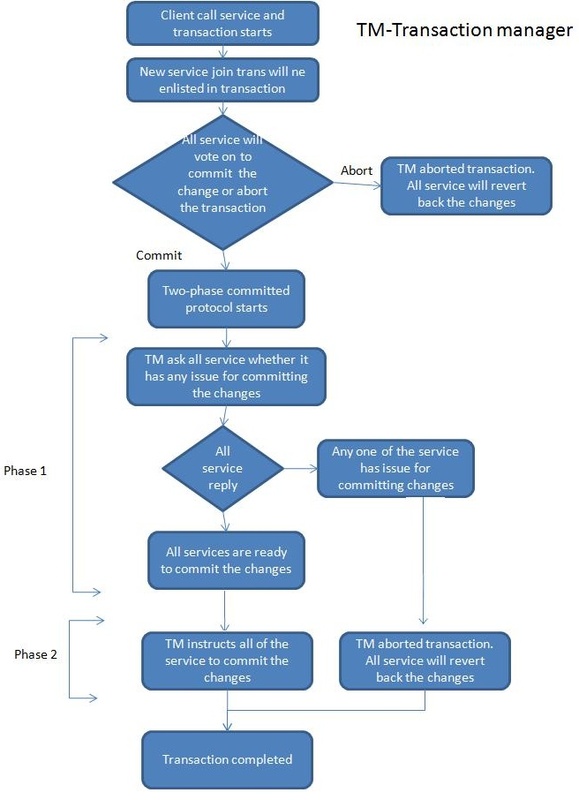 Step 4: Implement the Service contract as shown below. In the below code you will find using OperationContext is used to receive the reference to Callback instance. Using that instance we are calling the OnCallback() method from client side. You can also note that We have set the ConcurrencyMode to Multile. 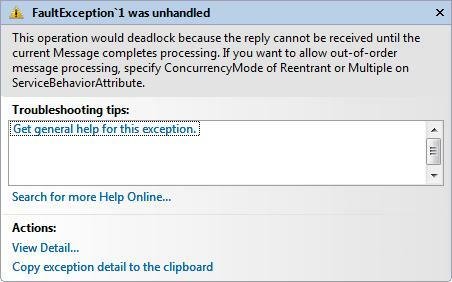 If you are not using ConcurrencyMode to Multiple or Reentent, you will be end up with deadlock exception as shown below. This is because when a client made a call to the service, channel is created and lock by WCF service. 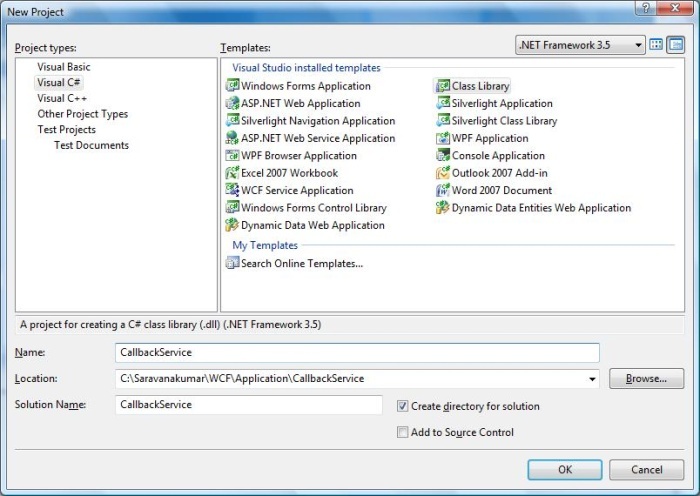 If you are calling the Callback method inside the service method. Service will try to access the lock channel, this may leads to deadlock. So you can set ConcurrencyMode to Multiple or Reentent so it will release the lock silently. Step 7: Use Duplex binding to support Callback operation. Step 9: Create Console Application using Visual Studio 2008 and name it as CallbackClient. This is the client application which contain Callback implementation. Step 11: Create the proxy class as shown below. 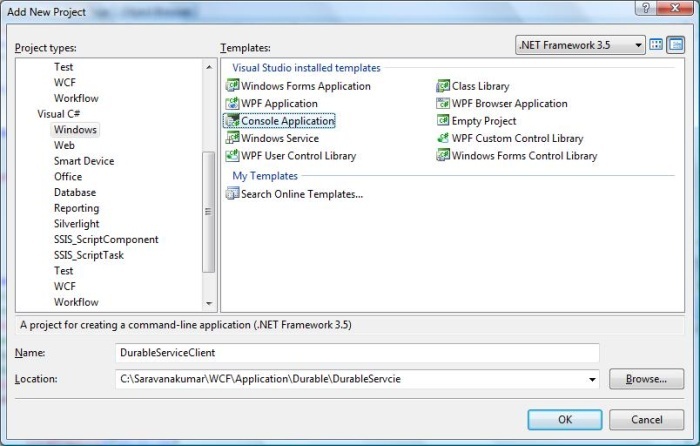 Use DuplexClientBase to create the proxy, because it will support bidirectional communication. Create the contractor which will accept InstanceContext as parameter. When the client and the service exchange messages, these messages are buffered on the receiving end and delivered only once the entire message has been received. This is true whether it is the client sending a message to the service or the service returning a message to the client. As a result, when the client calls the service, the service is invoked only after the client's message has been received in its entirety; likewise, the client is unblocked only once the returned message with the results of the invocation has been received in its entirety. When client and Service exchange message using Streaming transfer mode, receiver can start processing the message before it is completely delivered. Streamed transfers can improve the scalability of a service by eliminating the requirement for large memory buffers. If you want to transfer large message, streaming is the best method. In this mode of configuration, message send from service to client will be streamed. Client and Service exchange message using Streaming transfer mode, receiver can start processing the message before it is completely delivered. Streamed transfers can improve the scalability of a service by eliminating the requirement for large memory buffers. If you want to transfer large message, streaming is the best method. Reliable sessions must buffer sent messages on the client for redelivery if a message gets lost in transfer and must hold messages on the service before handing them to the service implementation to preserve message order in case messages are received out-of-sequence. 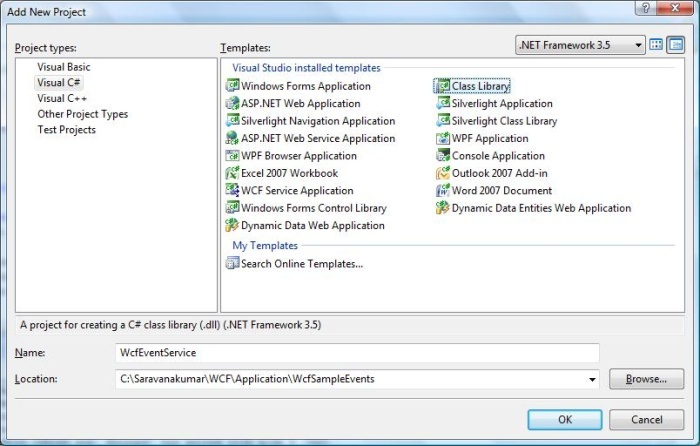 WCF uses .Net stream class for Streaming the message. Stream in base class for streaming, all subclasses like FileStream,MemoryStream, NetworkStream are derived from it. Stream the data, you need to do is, to return or receive a Stream as an operation parameter. Only the TCP, IPC, and basic HTTP bindings support streaming. With all of these bindings streaming is disabled by default. TransferMode property should be set according to the desired streaming mode in the bindings. The main aim of the Streaming transfer mode is to transfer large size data, but default message size is 64K. So you can increase the message size using maxReceivedMessageSize attribute in the binding element as shown below. A transaction is a collection or group of one or more units of operation executed as a whole. It provides way to logically group single piece of work and execute them as a single unit. In addition, WCF allows client applications to create transactions and to propagate transactions across service boundaries. Let us discuss more on challenge we will phased and how to recover from it. Consider a system maintained in consistent state, when application fail to perform particular operation, you should recover from it and place the system in the consistent state. While doing singe operation, there will be multiple atomic sub operation will happen. These operations might success or fail. We are not considering about sub operation which are failed. We mainly consider about the success operation. Because we have to recover all these state to its previous consistence state. Performance will be decreased because you need to execute huge amount of code. Best way to maintain system consistence and handling error-recovery challenge is to use transactions. Below figure gives idea about transaction. Committed transaction: Transaction that execute successfully and transfer the system from consistence state A to B.
Aborted transaction: Transaction encounters an error and rollback to Consistence State A from intermediate state. In-doubt transaction: Transactions fail to either in commit or abort. Transactional programming requires working with a resource that is capable of participating in a transaction, and being able to commit or roll back the changes made during the transaction. Such resources have been around in one form or another for decades. Traditionally, you had to inform a resource that you would like to perform transactional work against it. This act is called enlisting. Some resources support auto-enlisting. Transaction can be said as pure and successful only if meets four characteristics. Atomic - When transaction completes, all the individual changes made to the resource while process must be made as to they were all one atomic, indivisible operation. Consistent - transaction must leave the system in consistent state. Isolated - Resources participating in the transaction should be locked and it should not be access by other third party. Durable - Durable transactions must survive failures. 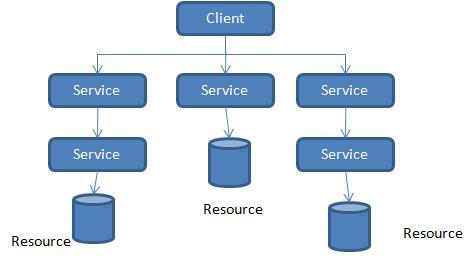 Consider the scenario where I am having single client which use single service for communication and interacting with single database. In which service starts and manage the transaction, now it will be easy for the service to manage the transaction. Consider for example client calling multiple service or service itself calling another service, this type of system are called as Distributed Service-oriented application. Now the questions arise that which service will begin the transaction? Which service will take responsibility of committing the transaction? How would one service know what the rest of the service feels about the transaction? Service could also be deployed in different machine and site. Any network failure or machine crash also increases the complexity for managing the transaction. In order to overcome these situations, WCF come up with distributed transaction using two way committed protocol and dedicated transaction manager. Transaction Manager is the third party for the service that will manage the transaction using two phase committed protocol. Let us see how Transaction manager will manage the transaction using two-phase committed protocols. In WCF, transaction can be propagated across service boundary. This enables service to participate in a client transaction and it includes multiple services in same transaction, Client itself will act as service or client. Even after enabling transaction flow does not mean that the service wants to use the client’s transaction in every operation. We need to specify the “TransactionFlowAttribute” in operational contract to enable transaction flow. Note: TransactionFlow can be enabled only at the operation level not at the service level. 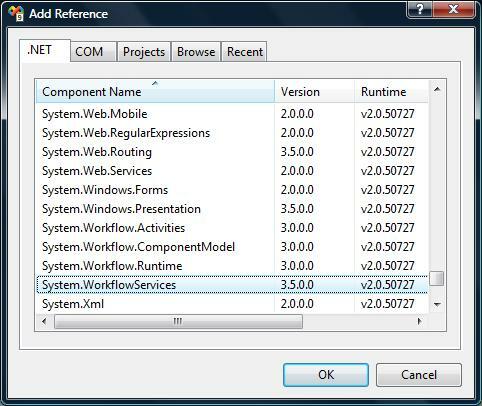 Allowed transactionFlow="true" Service will allow to flow client transaction. It is not necessary that service to use client transaction. Allowed transactionFlow="false" If service disallows at binding level, client also should disable at binding level else error will be occurred. Mandatory transactionFlow="false" InvalidOperationException will be throw when serice binding disables at binding level. FaultException will be thrown when client disable at its binding level. As a developer we no need to concern about transaction protocols and transaction manager used by WCF. 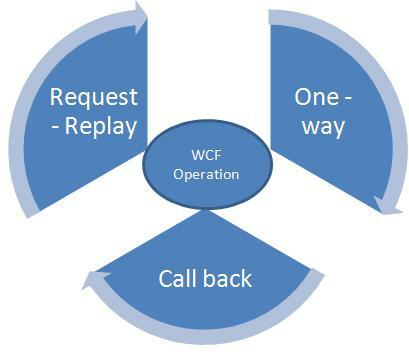 WCF itself will take care of what kind of transaction protocols should be used for different situation. 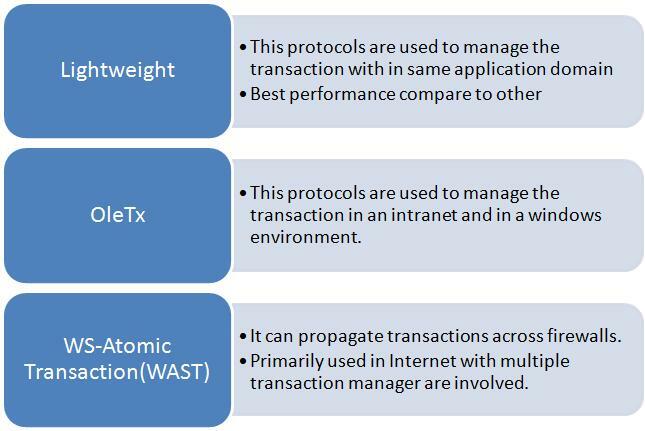 Basically there are three different kinds of transaction protocols used by WCF. Did you know that that you can make money by locking premium areas of your blog or site? Simply open an account on Mgcash and add their content locking tool. Are you trying to make cash from your websites by running popup advertisments? In case you do, have you considered using Pop Ads?